Wow, welcome to 2015. I hope once you get over how quickly 2014 has passed you will come to appreciate that a new year means new beginnings and also new UKYA. 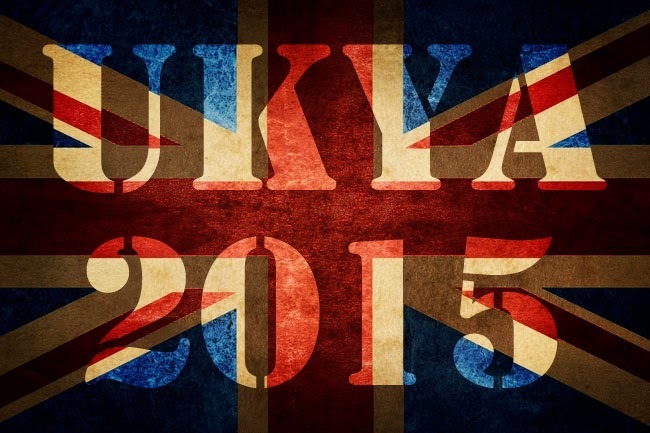 I've prepared this absolutely stunning list of the UKYA that is being published this very month. And if you like the look of some/most/any of these titles than I would urge you to join the British Books Challenge, if you please. I will (hopefully) be bringing you these lists every month in 2015, so please keep an eye out for that. I've decided to break the books into groups based on the publisher to make things easier for you and also linking to each books Goodreads page. Let me know how that works for you. As always, I do try my best to include everything but if you see any glaring errors or missing titles, do let me know. I maintain that Barrington Stoke have the absolute best range of authors of any publisher. Every time I see their new titles I'm always amazed at the top authors on their list. And it's as it should be, I think, as Barrington Stoke do an amazing job promoting literacy amongst struggling, reluctant and dyslexic readers. 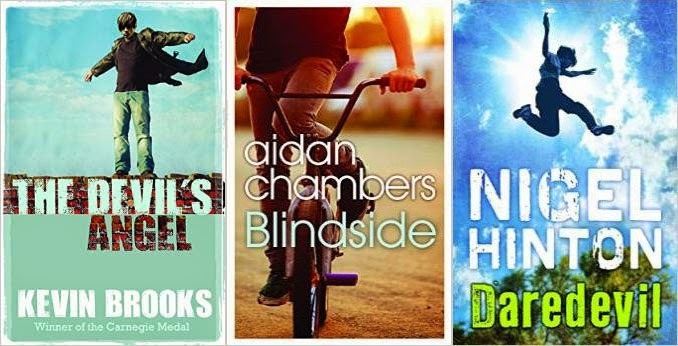 All three of their January titles look amazing and they will be published on the 15th. I urge you to look out for them. I've only read one book by Nick Lake before but it was really fascinating and felt quite thought-provoking and hard-hitting. 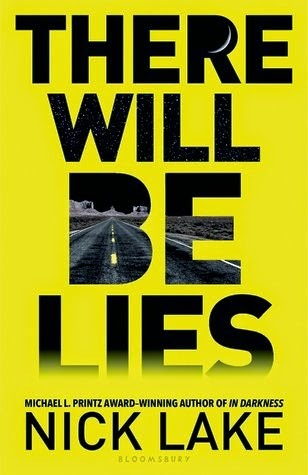 And There Will Be Lies feels like it could be described in a similar vein. I'm intrigued. The Art of Being Normal is the book that bloggers and book lovers were talking about long before this book will be published. 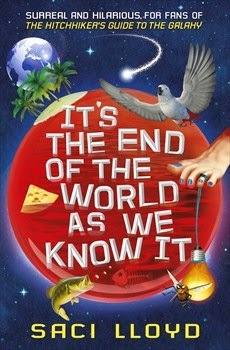 There is such great buzz over this book and hopefully it all pans out, right? I love that this book is by a debut author and that the main focus of the story is on some great, diverse characters. When I first saw this cover, I immediately thought 'Hitchhiker's Guide to the Galaxy' and then I saw the tag line and I'm glad that that's the comparison it's going for. It looks like it'll be one of those weird sort of sci fi comedy mash-ups and I think that sounds pretty cool! This new Sally Gardner book is an absolutely gorgeous little hardback book. 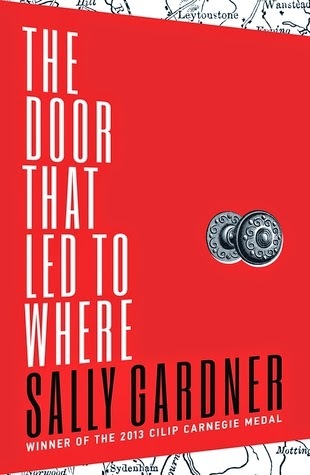 I can't wait to get into it, and to finally read a book by Sally Gardner. This book promises murder and mystery and I'm fully prepared to fall in love with it. 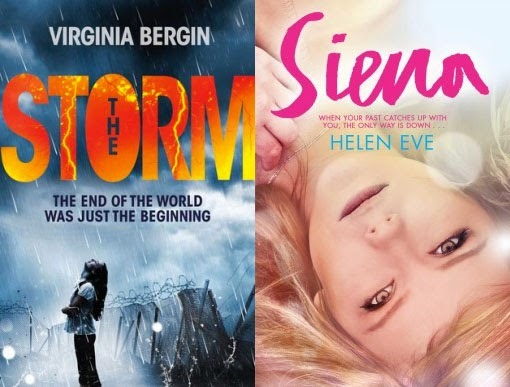 Macmillan are offering two titles that is either a straight sequel, such as The Storm the follow up to last year's The Rain, and a prequel, as I believe Siena is about a character or events previous to Stella? I'm not entirely sure but do let me know if you think I should be reading either of these books! I'm not sure there could be two more different novels than these two titles from OUP. Jekyll's Mirror looks to be a look at online anonymity and a spiral of darkness and the other is the fab combination of model and spy. To be honest, I quite like the sound of both. 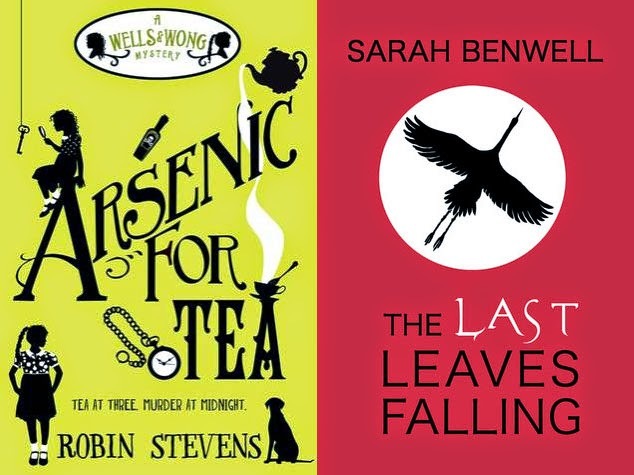 I know Arsenic for Tea, the second book in the Wells and Wong series of books by Robin Stevens might not technically be counted as 'YA' but I loved the first book in the series, Murder Most Unladylike, so much that I had to include the sequel on this list. It's my blog post, I make up the rules :) And The Last Leaves Falling. What a beautiful, wonderful book that is. From debut author, Sarah Benwell, she's created a story about friendship amongst three teenagers in Japan and I honestly think it's perfection. I really enjoyed this fast-paced thriller from (debut?) 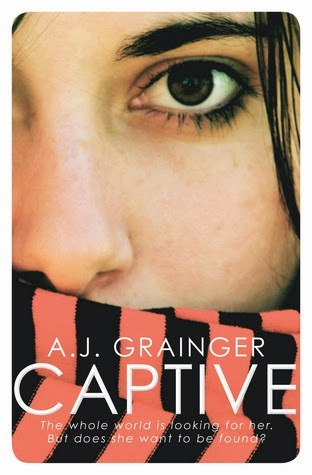 author, AJ Grainger, who happens to also work in children's publishing. I thought it raised some really interesting ideas about environmental concerns, politics and terrorism. I loved the sort of Stockholm syndrome as well. Definitely one to look out for! 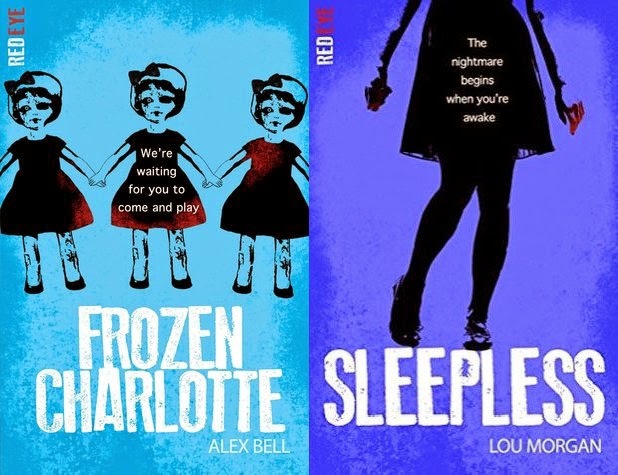 Stripes are publishing their first two titles in their Red Eye series which is basically Point Horror for teenagers and I think they sound bloody fantastic. I think there should definitely be more horror books for young adults and I have very high hopes for this series. Both these books are available in paperback from the 5th of January! I've really loved everything by Vanessa Curtis that I've read so far but this new book of her looks like a real departure. And while historical fiction isn't always my cup of tea, I think I shall definitely be on the lookout for this book based on the strength of the author's previous work! Which book(s) are you most looking forward to reading in January? Wow, what a fab list - hugely comprehensive! The only thing I think's out that you haven't got down (and not 100% sure if it's YA or MG, but thought I'd mention) is Love Hurts, the anthology edited by Malorie Blackman, which Corgi are releasing on 29th. Great list... So many books I'm looking forward to. I really like the sound of the red eye books I used to love point horror !! Thanks, Rita, you as well! 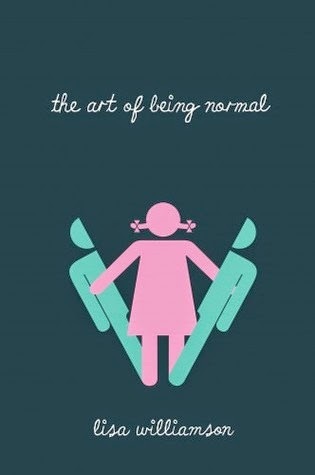 And yes, The Art of Being Normal sounds amazing! I've only read about 65 pages of The Art of Being Normal so far but I'm in love with it. 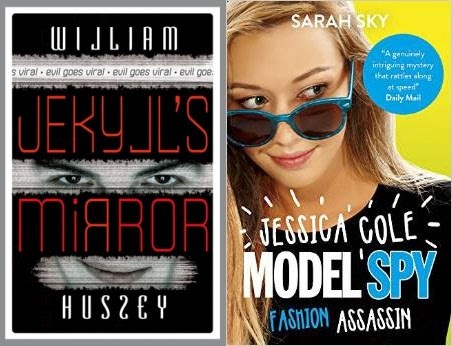 So many fab books this month!